For most mtk device users, installing cwm is really a problem as there happened to be tons of mtk devices out there without developers. Today I will be showing a general method of installing cwm on all mtk devices. ==> Your mtk backup. To learn how to create it, click here. ==> Your rooted device. If your device is not rooted check this link. 1. Download and install pdanet. 2. Connect your device to your pc. Make sure usb debugging is ebabled. 3. 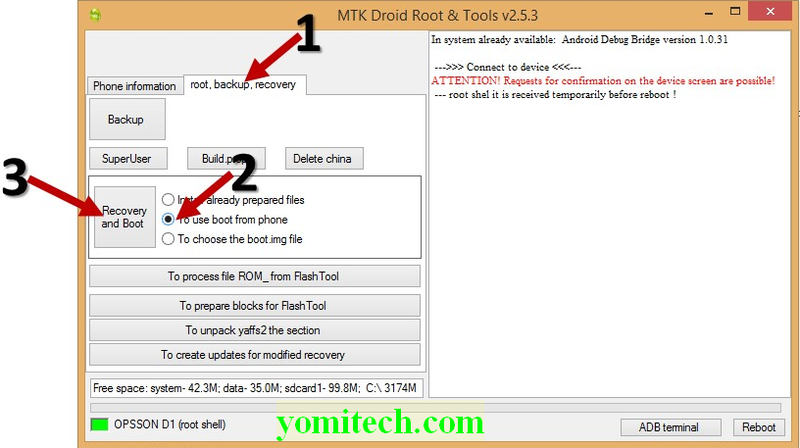 Download and extract mtk droidtools and run mtkdroidtools.exe as admin. 4. 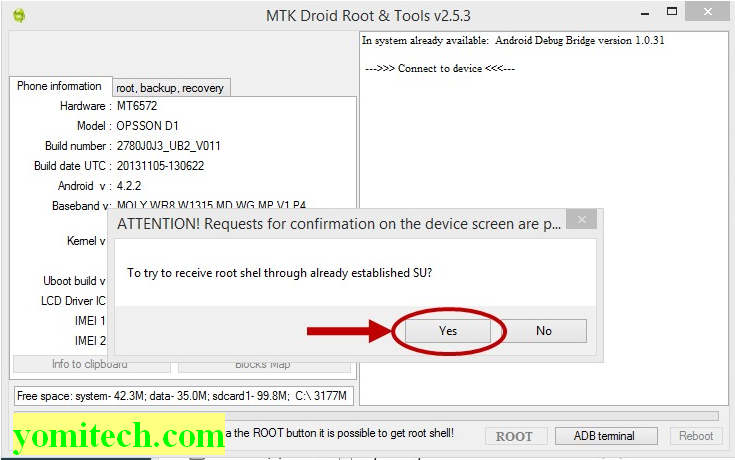 Wait for some few seconds while mtkdroidtools loads up your device information. 5. 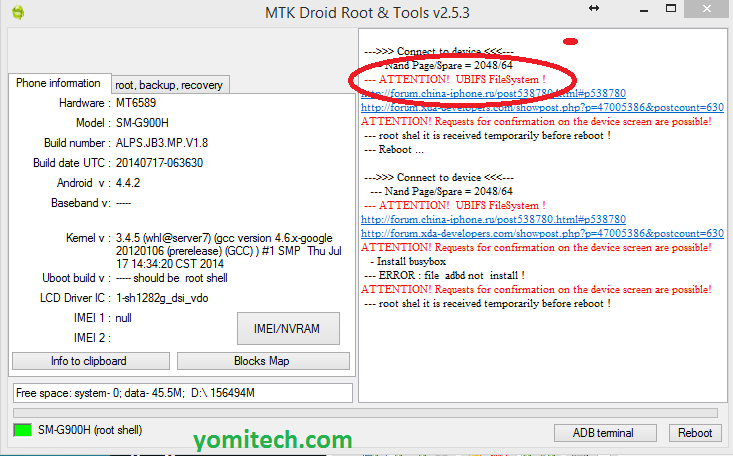 If you see a green box by the bottom left of mtk droid tools, proceed to step 7. 6. 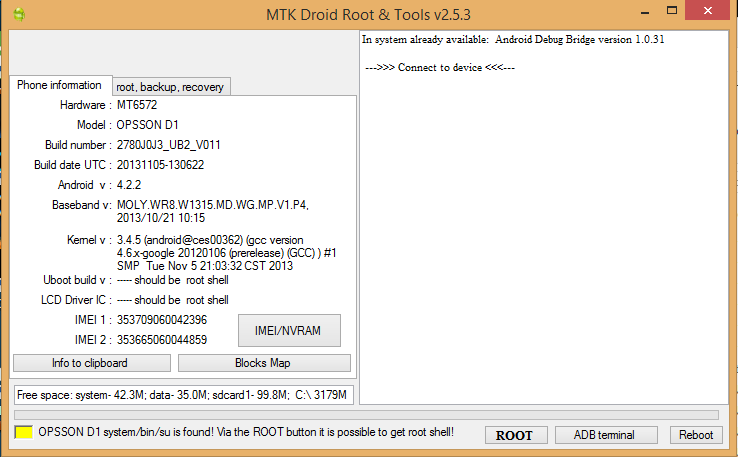 If you see a yellow button on the bottom left of mtk droid tools. Click on root and wait while your device gains temporary root shell. 7. Click on the root, backup recovery tab, select “To use boot from phone and click on Recovery and boot button. 8. A popup window will appear asking to “make CWM recovery automatically” select yes. 9. Another window will appear asking to “install patched boot to phone” select no. 10. Another window will appear asking to “install recovery to phone” click yes. 11. Finally you will see a popup window asking “to reload phone into recovery” click yes. CONGRATULATIONS!!! You have just successfully installed clockwodMOD (CWM) to your mtk device.